Locality: United States, Colorado, Rio Grande, Few miles south of Monte Vista. Habitat: Wet ditch bank, border of Typha community. 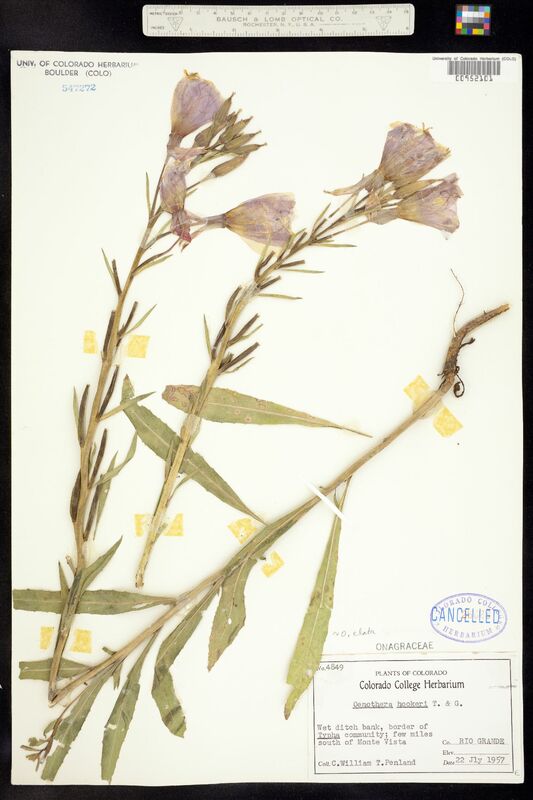 Occurrence Remarks: Original ID: Oenothera hookeri T.&G.